Year of the dog, indeed. Earlier this afternoon, the MTA reported that the F train was experiencing service changes and delays because of a dog on the tracks at the York Street station. Thousands of people riding the J train at rush hour this morning experienced a total and complete shitstorm after an off-duty police officer allegedly assaulted a conductor while the train was pulling out of Essex Street station. According to the MTA, the conductor pulled the emergency break and brought the train to a standstill, all but one of the cars were stuck outside the station at 9:15 am– prime getting-to-work time for many riders. The J line ceased service for a full hour, leaving platforms packed with unhappy commuters. 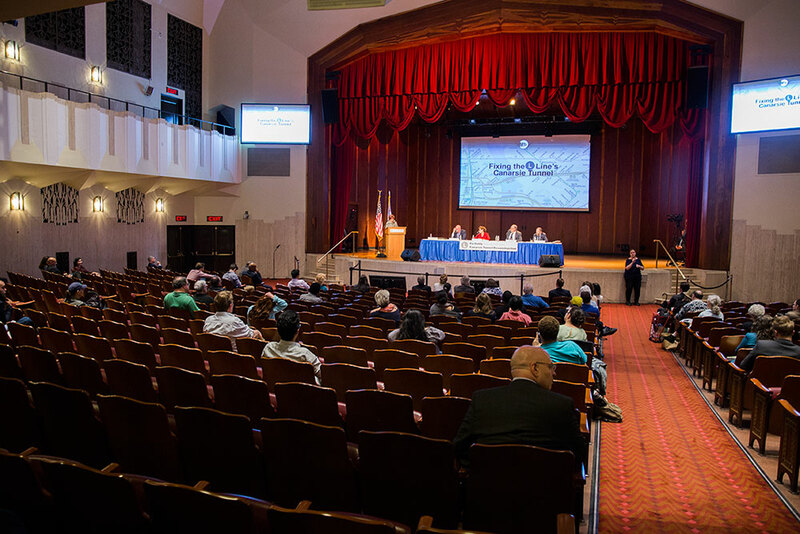 The MTA held its second public meeting to discuss the impending L train closure, and last night’s hearing at the 14th Street Salvation Army Theater couldn’t have been more different from the one hosted in Brooklyn last week. For one, the attendance was dominated by the same crowd you’d see at a City Council Committee meetings– aging hippies, your Dave Stuben types, the occasional transport dork, press, press, and more press; and the few regular people left in the immediate area around Union Square and Chelsea who also happen to have extra time on their hands. Last night, the big players in the L train shutdown finally met with North Brooklyn community leaders and residents for a public forum and, for the first time, discussed candidly the extensive damage inflicted by Superstorm Sandy and the two proposals for the reconstruction project. 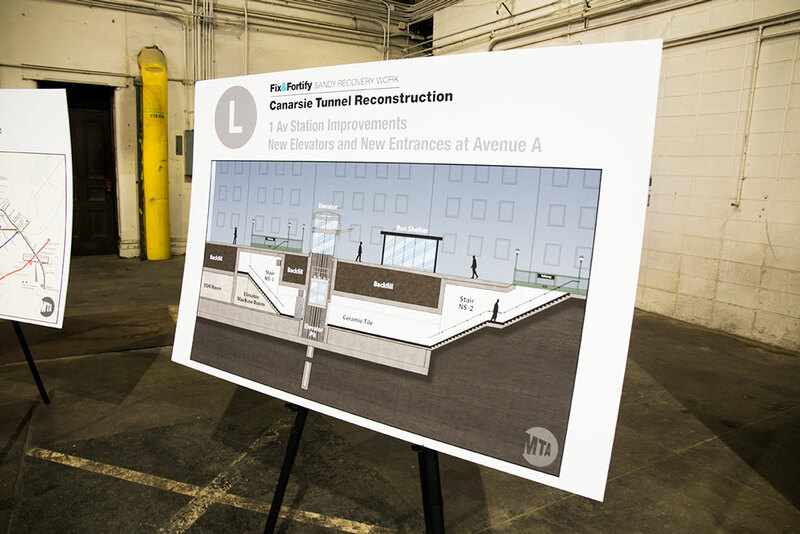 While the MTA hasn’t yet come to a decision, it seems to be favoring a full shutdown that would mean 18 months without any service between 8th Avenue and Bedford Avenue. MTA Chairman Thomas Prendergast acknowledged it would be the “most impactful” event ever for New York City’s public transit system.